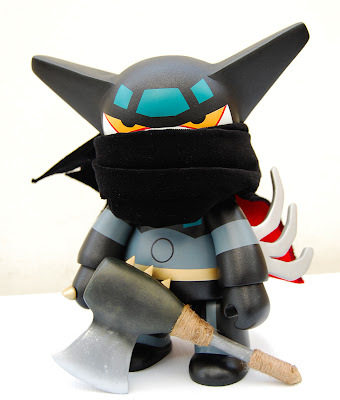 TOY2R is proud to announce that Series 1 successfully sold out and Series 2 is moving ahead quickly. 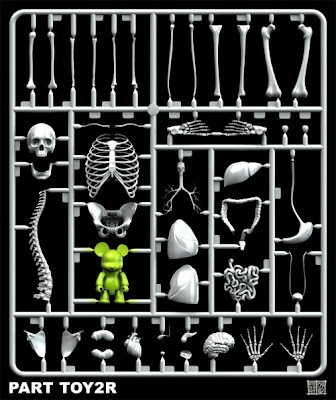 there will be several "NEW" TOY2R characters included in this release: Pigee makes its 2.5" D.I.Y. debut as well as Grizee, Boxee, and Toyer BBQ. Adding to the excitement, TOY2R will also be including the newly designed TOYER KAIJU QEE, to celebrate the TOYER design - the official mascot of TOY2R. 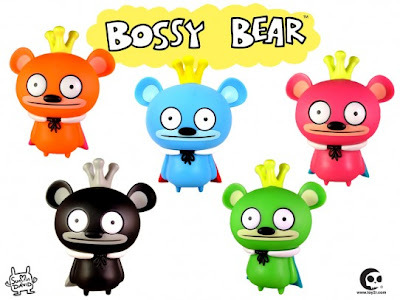 The assortment will include designs to complement the new Bossy Bear book release. 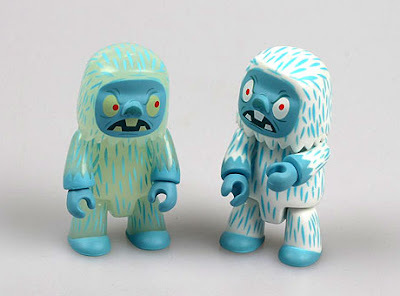 Toy2R x GAMA-GO's Yeti Qee is coming back! And this time, we bringing a friend to light the dark nights. A GLOWING tiny Yeti. 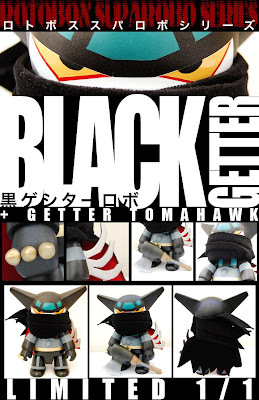 Available at GAMA-GO’s store and site and Toy2R network! 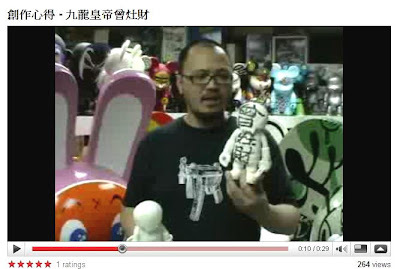 Toy2R captured the grand award in the innovation and creativity category at the Hong Kong Awards for Industries. "We have won many different international prizes before, but this prize is the most important because we competed with companies from different industries. This prize affirms the way we run the business," said Raymond Choy, founder and president of Toy2R. 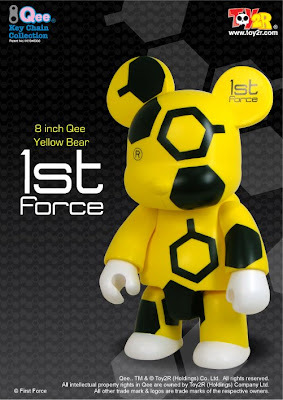 The company is widely credited as an important player in spreading the designer toy phenomenon worldwide. 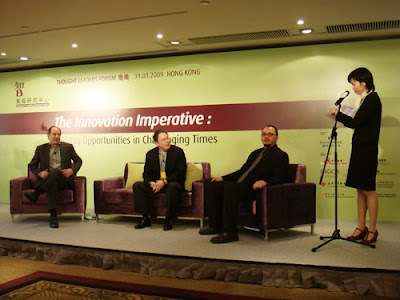 Mr Choy said innovation was not just about product design but also about changing the business model to continue to grow and to stay ahead of competitors. "I didn't set out with a grand strategy but, like other Hong Kong people, I am quick and nimble in running my business," he said. "I also like to ask questions so that I can learn more from others. Not only that, I always ask myself why I like a particular toy." After working for a United States footwear importer on the mainland for 10 years, he set up a small toy shop in Mong Kok in 1995. 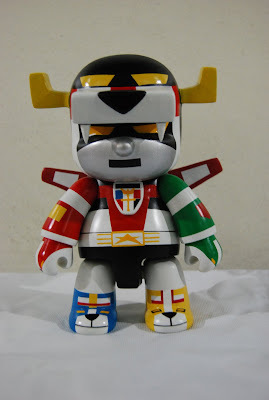 "Initially, I differentiated myself as one of the first to go to Japan to source toys," he said. "It was good until copycats moved in and compressed the margins in 1998/99. So I moved to Tsim Sha Tsui and started to carry United States toys as well. I was one of the rare adult toy shops to carry retro toys, Japanese toys, as well as US toys. I differentiated myself by the diversity of toys I carried. I also carried limited editions of some US toys, such as the Living Dead Doll by Mezco. I think all of this helped me to build the foundations to branch out with my own brand globally later on." In 1999, as a prelude to his own global brand, Mr Choy made a company mascot called the Toyer. 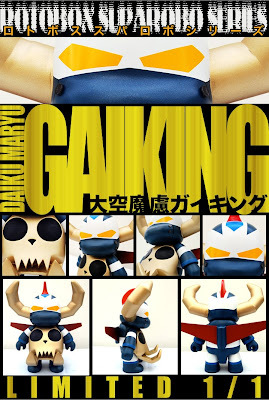 It was a skull-like figure in a cute human form. 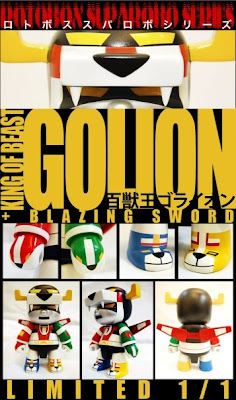 In order to compete with other more established designer toys, he focused on pricing and innovations of product materials. "We were the first globally to use the new materials which glow in the dark," he said. Since 1999, the company has grown a 100 fold. 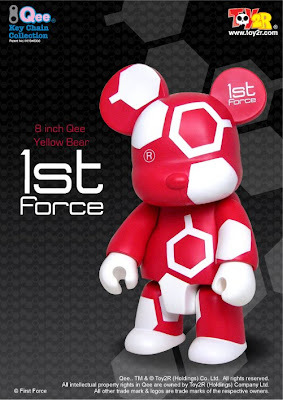 In 2001, he closed his toy store to focus on his own brand. 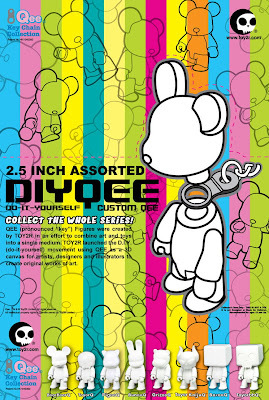 He decided to go into the mass market in 2002 with a new vinyl toy called Qee, which was smaller in size and more affordable in pricing. This became an instant success. 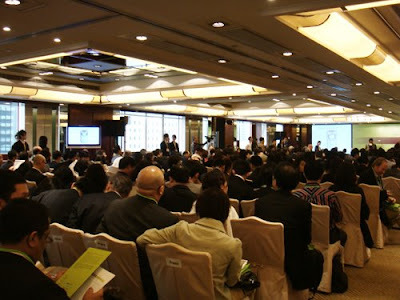 There are 18 models of Qee, all of which are patented. 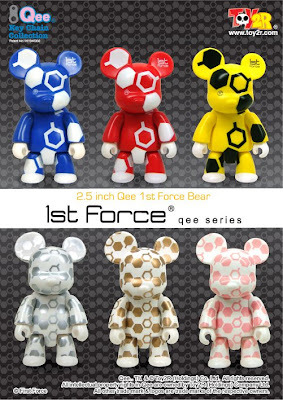 Qee can be transformed into a key-chain, which is also patented. 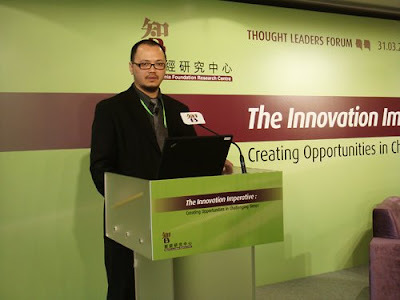 To encourage innovative designs, Mr Choy created an open platform for the designs on the Qee. He has been working with world-renowned artists, designers, global brands and others at exhibitions. 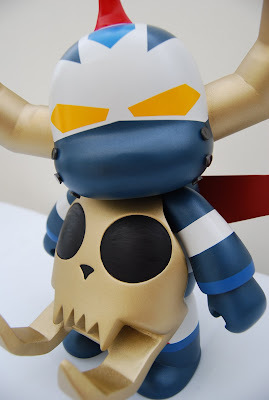 Qee DIY custom for suparobo project by Spencer Ong.....very Nice! The Series are Available now. proceeding to open an online shop by the 1st of May. A new record with the QEE !